The search result at the top position on Google actually gets 33% of the total search traffic for that keyword, according to Search Engine Watch. If you want your content to be seen, it’s simple. You need to rank high, if not #1 in search. So how do you do that? By writing compelling content of course! 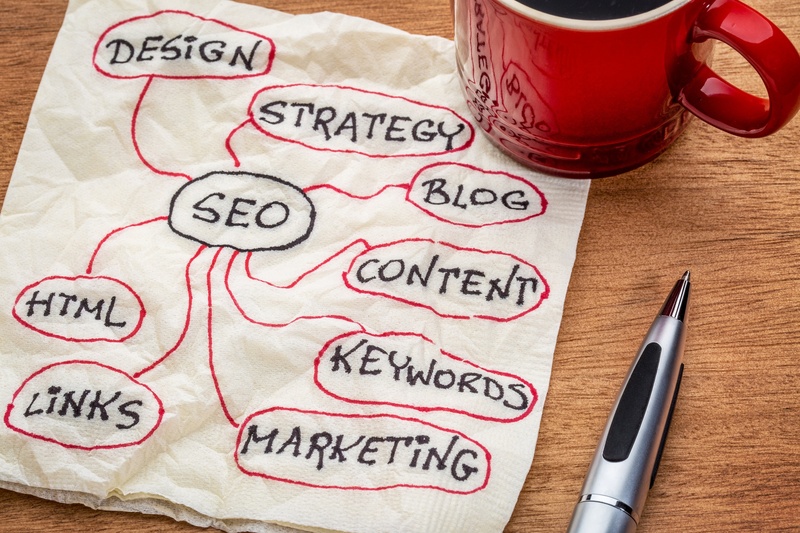 In this blog, we’ll discuss how to write SEO-friendly blogs that rank high in search. Do your keyword research! If you want to convert quality leads, you’ll want to pick keywords that are specific to your potential customers' searches. How do you do this? By using long-tail keywords. Long-tail keywords are keywords that are 3 or more words. These keywords should be specific to the questions your users are asking. Long-tail keywords comprise up to 70% of all search traffic. By using shorter, more general keywords, you’re facing fierce competition. If you target long-tail keywords, you have a better chance of ranking in the top results for those keywords. If you need some inspiration, see what your competitors rank for! If these keywords are relevant to you, consider using them too. Obviously, if you want to rank for certain keywords, you’re going to want to include them in your blog post, right? Right! Include the keywords you choose several times in the body of your post as well as the meta description, URL, Title, image alt text, headings and subheadings. But remember not to overuse your keywords, also known as keyword stuffing. Search engines are smart. They can tell when something doesn’t make sense and they will penalize a website or ban them from search if they detect any keyword stuffing. The more you link out to reputable websites, the more authority Google will give you. Don’t be afraid that readers will leave your site if you link to other sites. Remember, you’re building authority with search engines when you’re writing information is relevant to those reputable sites. Why does linking out to reputable sources strengthen your authority? Well the content in your blog is hard to argue with when it’s backed by research and statistics. But don’t forget to link to your internal pages as well! Linking to other pages on your website helps search engines crawl your website and create a more accurate sitemap. It can also help your readers navigate to relevant content on your website and discover more of what you have to offer. When linking to internal pages, be sure you’re using those targeted keywords for your anchor text and that it is clear where they are being directed to. Search engines actually praise websites for having more content on their website. Longer posts will rank more easily for your targeted keywords because the more content that lives on your page, the more search engines will be able to figure out what your blog is about. It’s recommended to write at least 350 words per blog. But don’t exceed 700 because this could scare off your readers and they won’t get a chance to see the offer you’re giving them at the end of the post. Inbound marketing is a technique for drawing customers to products and services via content marketing, social media marketing, and search engine optimization. Get started by writing enticing content that will attract customers! Download out FREE infographic on how to increase sales with inbound marketing.